According to economic analysts, the job market (with its high demand for employees) should be pushing wages and compensation up by now. The unemployment rate is very low (4.3%) and some seem to believe we are at “full employment.” A reasonable conclusion would be that there is, or should be, a shortage of available employees. As a result and by application of the law of supply and demand, there should be evidence of higher wages and compensation, right? Not this time. Under the current situation, the issue affecting wages and compensation is the skills-gap between what employers need and what the job seekers/employees offers. There are not enough job seekers/employees with the required skills to take the jobs being offered by employers – regardless of the pay. This will be a significant on-going problem. 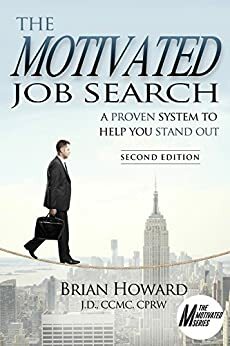 In today’s economic environment, employers are not interested in hiring a job seeker/employee who will not be quickly contribute to the company’s bottom line. They need immediate impact. Any wage and compensation increases in the job market are likely taking place to lure experienced employees from one company to another. How could this market dynamic affect a job search? As a job seeker, a pivotal element of your job search is to present yourself to an employer with the skills that will immediately provide a benefit. Identify your skills (including transferable skills) with accompanying accomplishments using those skills. When you do, you position yourself to possibly improve the monetary offer from the employer.